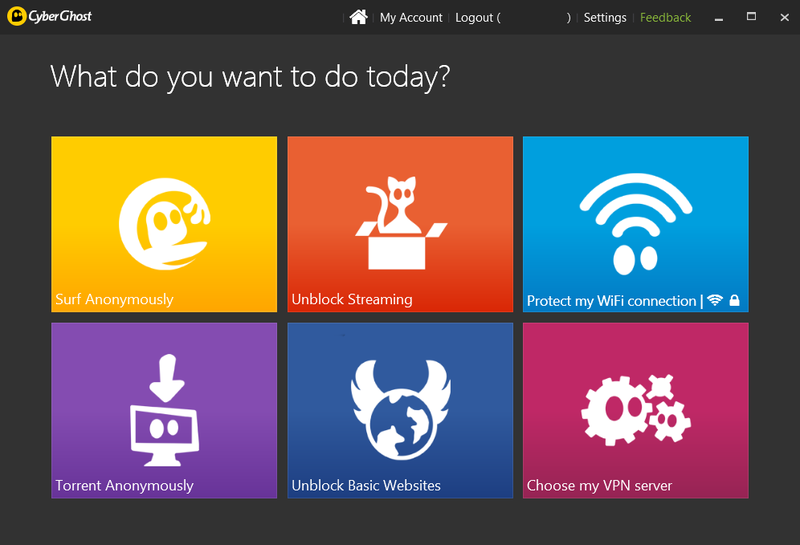 CyberGhost is one of the best VPNs in the world and is usually a top 3 choice for many. It gives you the ability to make yourself anonymous mask by hiding your real IP address and encrypts your online traffic. There is 2 news for CyberGhost users, one is bad, and one is good. The bad news is that the company is no longer offering the Free CyberGhost service, but the good news is that CyberGhost created a free extension for Google Chrome and Mozilla Firefox. The Replay Capture Suite contains seven incredibly handy software programs that provide all the tools you need to capture media from the internet. You can record radio, save music as MP3 files, download video, and convert and edit your recorded files. Explore the tabs above to see what the Replay Capture Suite can do for you! Capture Premium Video and Audio with the world’s best Streaming Video and MP3 Recorder. Replay Media Catcher is the only software that lets you capture streaming Video and Audio from previously unrecordable streams. 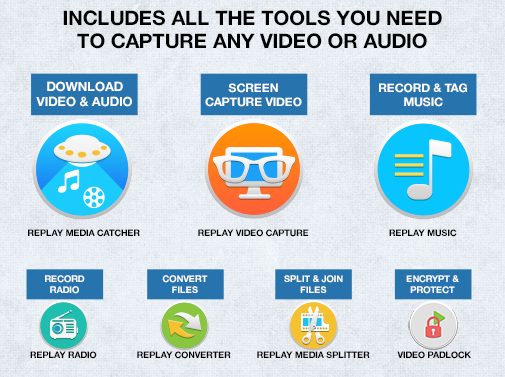 Replay Media Catcher is the Ultimate Streaming Video and MP3 Capture Tool. Having trouble downloading some streaming web videos? Replay Video Capture can make high quality movies directly from your PC’s screen. It is the best way to make production quality videos from hard-to-record sources. Record MP3s or CDs from Online Radio Stations or Digital Music Services. Replay Music is the only package that can split songs perfectly into individual tracks, and then automatically add artist, title, album and genre information to MP3 files. It works like magic! Replay Radio is back and all new! Replay Radio is the best way to enjoy your favorite radio shows and stations. Just pick a show or station from the built-in guide, and Replay Radio schedules and automatically records the show for you. Then listen on-demand from your phone, tablet or PC. Protect personal video files on your PC with secure, convenient encryption. Easily extract or remove portions of your captured audio and video files. You’ll be slicing and dicing media files in minutes! Use VPN service to maintain your online privacy and security and Smart DNS services to bypass restrictions. Using the internet is not so safe anymore. There are literally thousands of hackers and organizations that want to look over your shoulder and monitorize what you are doing on the internet or even steal some sensitive information of yours. VPN helps you to increase your online security and privacy by encrypting your internet connection and hiding your IP address. SmartyDNS mainly helps you while you are outside of USA, UK, Germany, France, Canada, Poland, Sweden and others. With us, you can feel like home, at least in the digital entertainment part of your life. There are hundreds of options for each and everybody. To Win the free license, Just like the SmartyDNS cover photo on Facebook between 8th and 14th of November!